Banff National Park has a lot of offer. The lakes are breathtaking, there are mountain peaks everywhere, and so many hiking trails that you could spend years exploring them all. 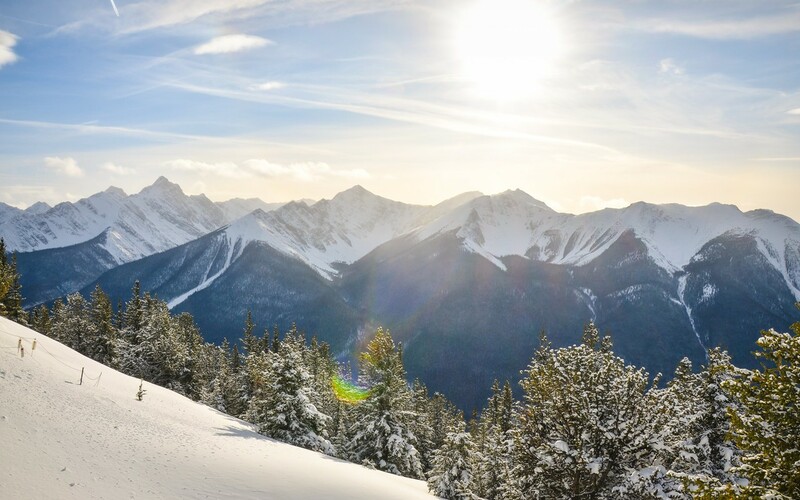 Most visitors simply don’t have time to take it all in, and that’s what makes experiences like Sulphur Mountain so special. 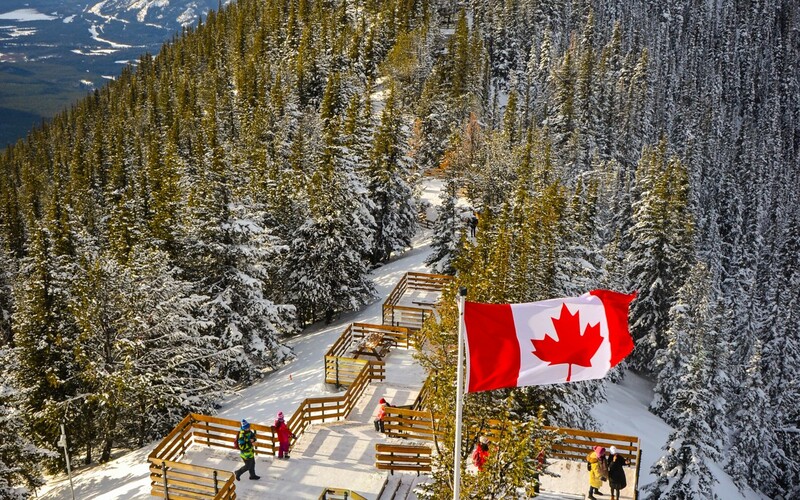 Sulphur Mountain, near Banff townsite, is the most attainable peak in the Canadian Rockies. There is also a boardwalk from the top of Sulphur to the summit of Sanson’s Peak. 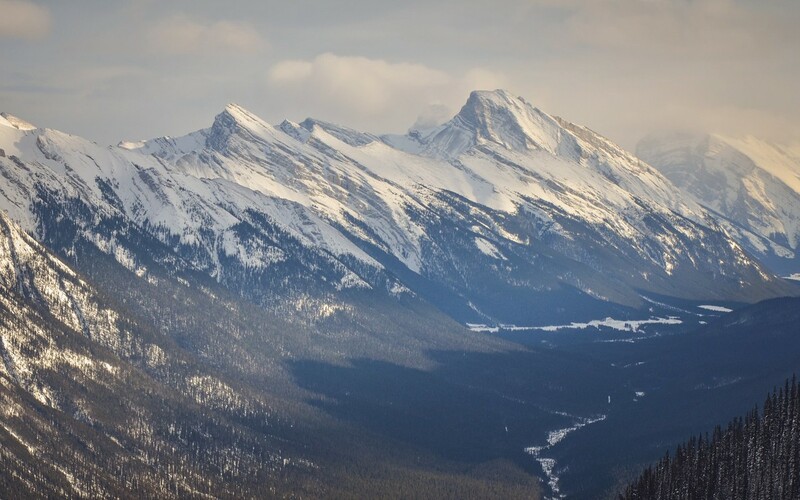 Apart from summiting a mountain, visitors can also take a dip in some hot pools, eat at a fine dining restaurant, enjoy an interpretive tour and learn about Banff National Park, and take a gondola ride all the way up or down the mountain. There is no other area in Banff that packs this kind of experience into one area. The hike up Sulphur Mountain begins at the Banff Upper Hot Pools parking lot. This trail is travelled year-round, even doing the trail in the middle of winter is enjoyable. On this day, it was a high of -11celsius (12.2 Fahrenheit). This made for the chilly, but exhilarating hike. The snow on the trail was well-packed, so much so that it actually felt like hiking on dirt instead of snow. The snow-pack was a really nice change from the trails we’ve been hiking this winter. No trudging, or sinking, just a nice solid -paced hike. We didn’t want to carry too much water, so we decided to test out the Tailwind Endurance Fuel to keep us hydrated on the trail. The hike is 5.5km (3.4 miles) with 655 meters of elevation gain (2150 feet). Views are the trail are sparse but you do get to watch the Sulphur Mountain gondola go overhead as you hike the multitude of switchbacks to the top. The trail hits the summit of Sulphur Mountain right at the gondola station. 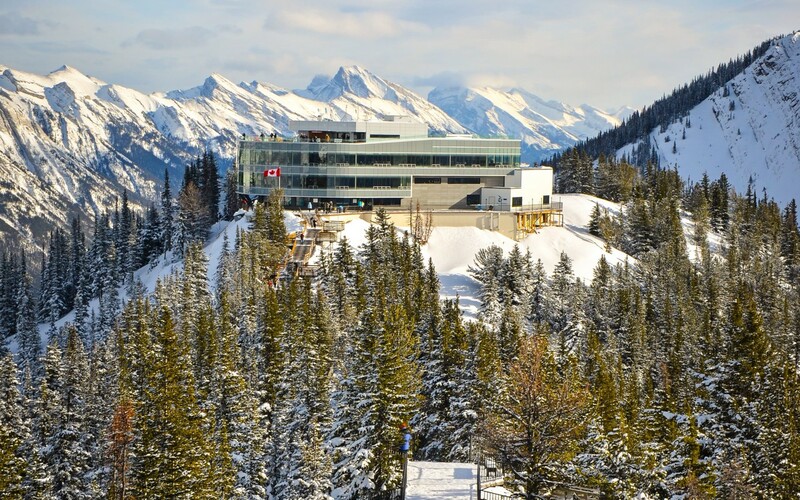 A four-level building sits on the top of Sulphur Mountain. It contains two restaurants, a gift shop, the gondola station, and a large interpretative display. It also has two large viewing platforms, so guests can really take in the beauty of the park. The viewing platforms are on the first and fourth floors. From them, you can see the town of Banff, Cascade Mountain, Rundle Mountain, and the beautiful Fairmont Banff Springs. We highly recommend taking in both platforms and then extend the trip by walking the boardwalk to Sanson’s Peak. 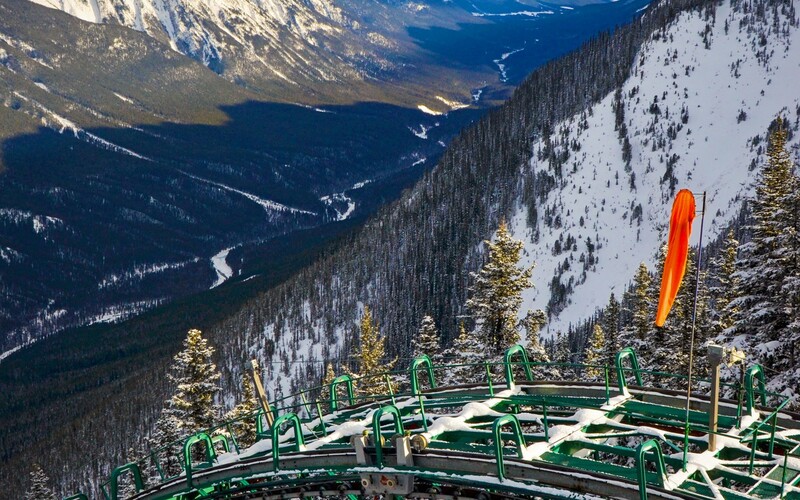 The biggest draw to Sulphur Mountain is the ability to get up and down the mountain via an eight-minute gondola ride. The gondola cars hold up to four people, however, we have always gone just the two of us in a car. The ride the gondola up and down costs is $62CAD per adult, although there is a 10% discount if you book ahead. Children age 0-5 ride free, while kids six to 15 ride free until noon. Afternoon those aged six to fifteen can ride for a fee of $31CAD. In winter, riding the gondola down is free, but in spring, summer, and fall, taking the gondola down is a flat $31CAD. This is the only gondola that provides views of Banff townsite, and one of only two gondola in the park - the other being in Lake Louise. 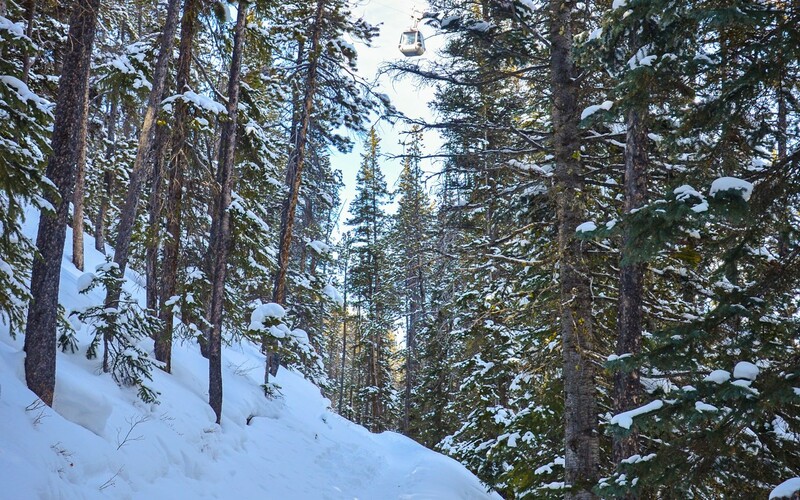 It is a relaxing, easy ride that offers a bird’s eye view of the Bow Valley. 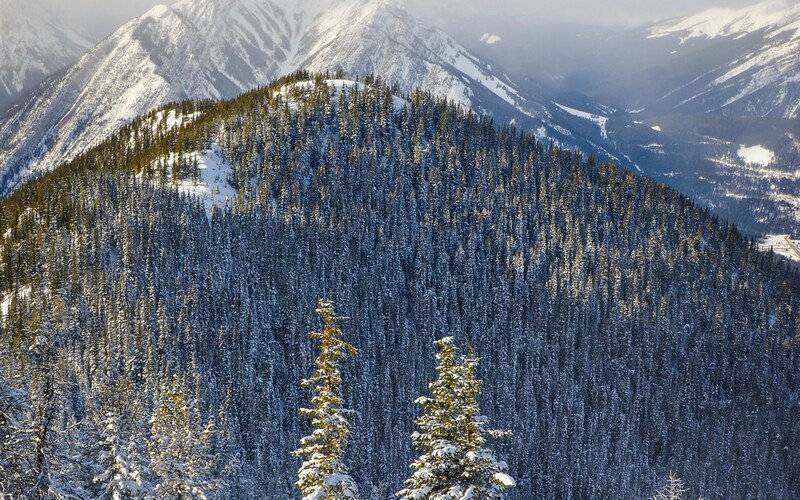 Sulphur Mountain is an easy adventure for anyone visiting Banff National Park. With so much to offer, it should not be missed!